MJ Bale Power Suit: Pay With Your Sleeve | OhGizmo! By Hazel Chua on 04/30/14 • Leave a comment! 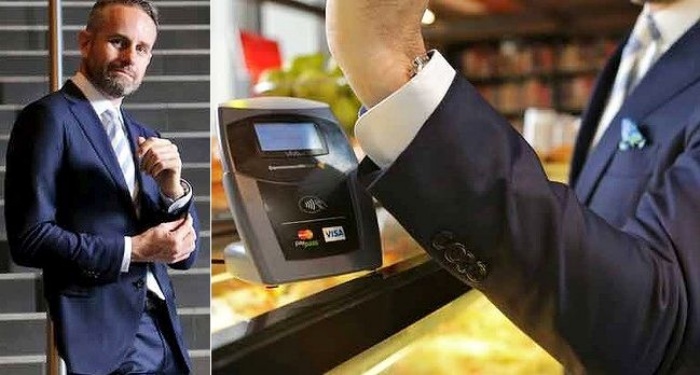 MJ’s power suit has a Visa payWave-accessible microchip sown right onto the sleeve, essentially turning it into a wearable credit or debit card of sorts. So whenever you’re ready to check out and pay, just move your hand across the terminal and bam!–you’re done. Eleven prototypes have been made so far, with the latest suit being auctioned off on eBay for the benefit of 4 ASD Kids charity. MJ Bale plans to incorporate this technology into their suits after their trial run with Visa and the Queensland-based Heritage Bank is completed.